A Welsh Labour MP has said the party "got it wrong" when it liberalised gambling laws a decade ago, by failing to predict the impact of technology. Cardiff Central's Jo Stevens called for a ban on adverts for betting firms at sports grounds and on players' shirts. The BBC's Victoria Derbyshire programme reported that gambling featured in 95% of TV ad breaks during live football. The UK government is considering new restrictions, with a review to be published shortly. Gambling law is devolved in Northern Ireland but controlled by Westminster for the rest of the UK. 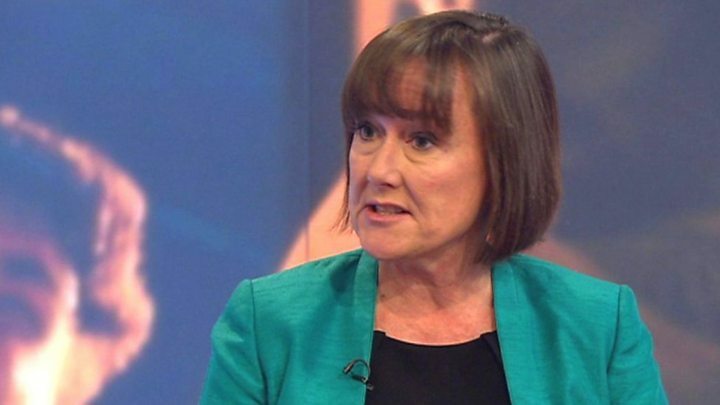 A member of the Commons digital, culture, media and sport committee, Ms Stevens said there was growing concern across all parties about the rise in gambling addiction, with as many as half a million problem gamblers and two million regular gamblers at risk. She said Labour had changed its view since the party relaxed restrictions when it was in government under Tony Blair's leadership. The growth of online gambling had contributed to the risk of addiction, Ms Stevens added. "In 2007 we didn't really know what technology would bring to the gambling industry," she told the Victoria Derbyshire programme. "You could argue that we did get it wrong but we'd like to have the opportunity, if we get back in government, to put it right." 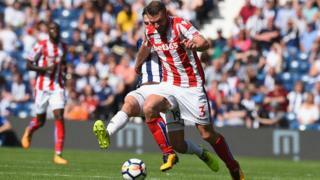 Media captionJo Stevens says action to curb gambling advertising is "long overdue"
Ms Stevens said the link with football was a major concern. "I can't think of any advertisers that target live football games like the betting industry does - there is so much of it. "I welcome the fact that the government are going to publish their review on it and I hope there'll be some stringent measures in there. "The money being spent on advertising is growing massively year on year. "The betting industry wouldn't be putting that money into advertising if they didn't think it was going to increase their revenue." Clive Hawkswood, chief executive of the Remote Gambling Association, which represents the online gambling industry, said the evidence on the effect of the adverts was "far from conclusive". "The reality is, gambling is normalised in this society and, if you look at why, it was probably the introduction of the National Lottery, it changed the perception," he said. Welsh Conservative AM Darren Millar said he was "delighted that the Labour Party has seen the error of its ways". "I hope that they will now join the cross-party campaign in Wales to address the serious challenges that gambling brings to so many Welsh communities," he added. "Like any industry, we have to move with the times and that includes embracing advances in technology. It is important there are regulations and guidelines, but suggesting that gambling should not have evolved online as it has is a step too far in my opinion. "There are many people out there who use the online sites sensibly and responsibly. Why should they be denied?" said Andy Bell from Footballscores.com.